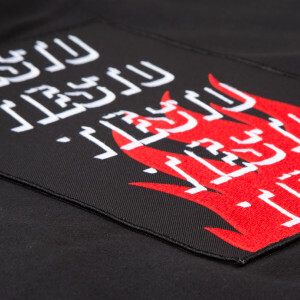 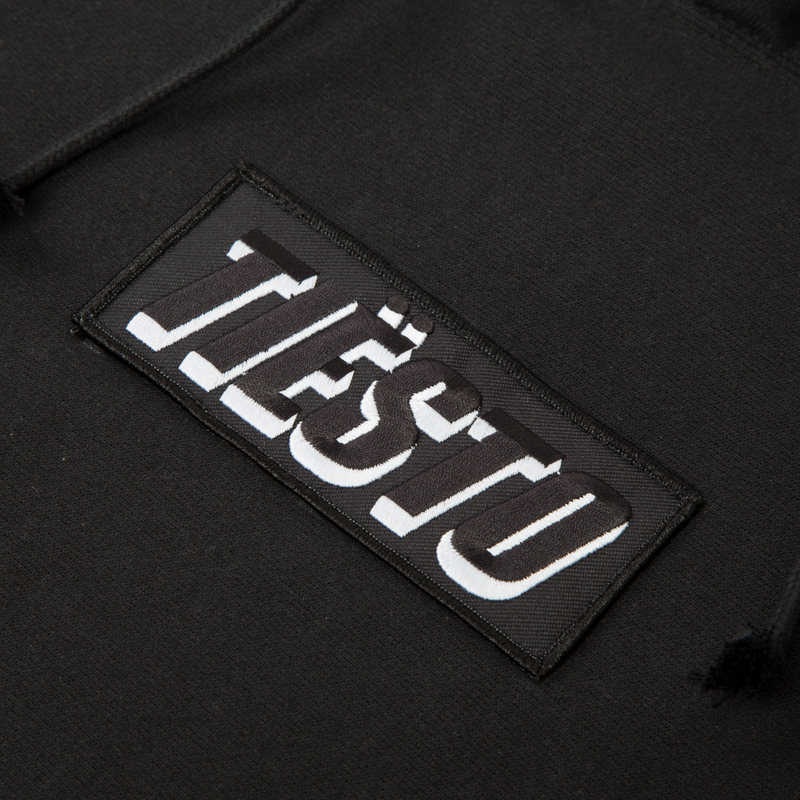 82% cotton / 19% polyester blend fleece hoodie with custom Tiësto patches applied on back and front. 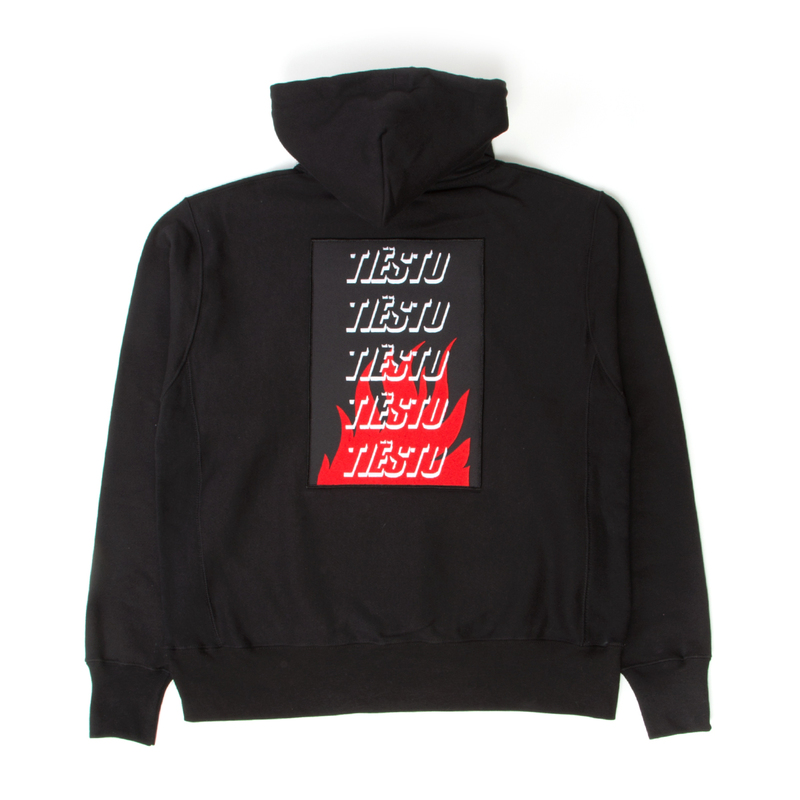 Great quality hoodie. 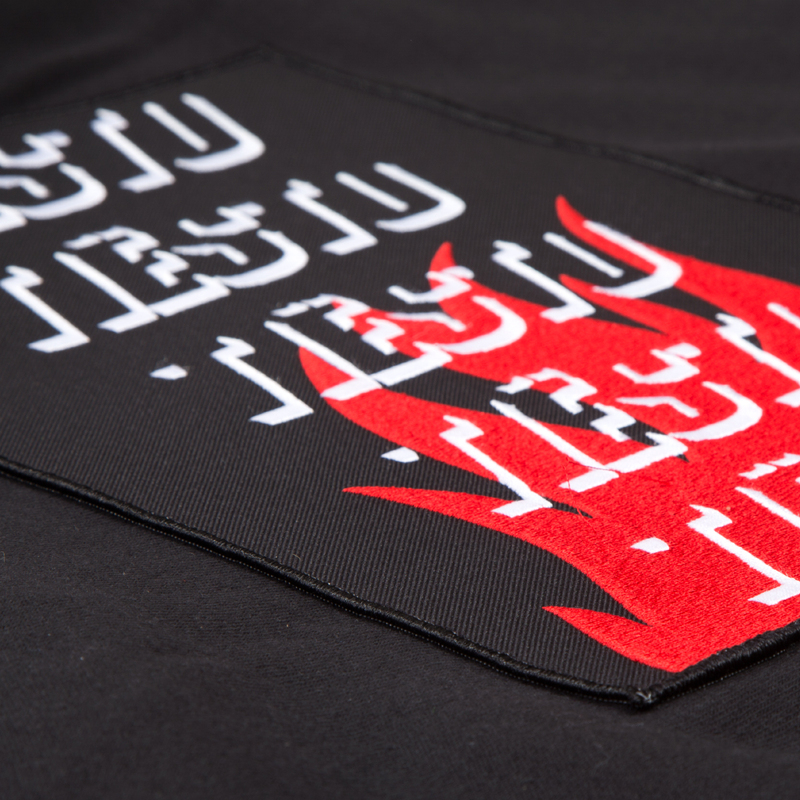 Just the back patch can make it hard to put on. Otherwise i love this hoodie and it was a great investment. I love the jacket. 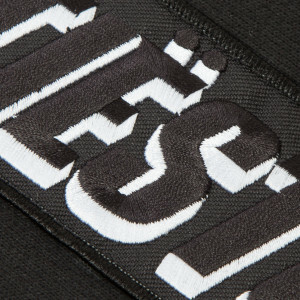 Specifically the design and quality of fabric.